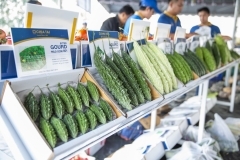 KANCHANABURI: From 7–13 January, leading Thai and international vegetable seed firm, CHIA TAI held its 18th annual Field Day in which more than 400 popular and new varieties were exhibited (See album below). 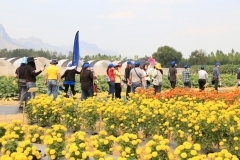 Held at the company’s Choncharoen Farm in Kanchanaburi’s Sai Yok district, about 170km west of the Thai capital, the open-field exhibition was themed “Hub of Tropical Vegetables”, giving local and international visitors the opportunity to inspect hundreds of new vegetable varieties across the solanaceae, cucurbit, brassica, corn and flower segments. 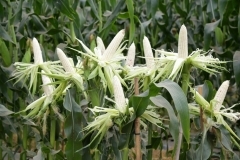 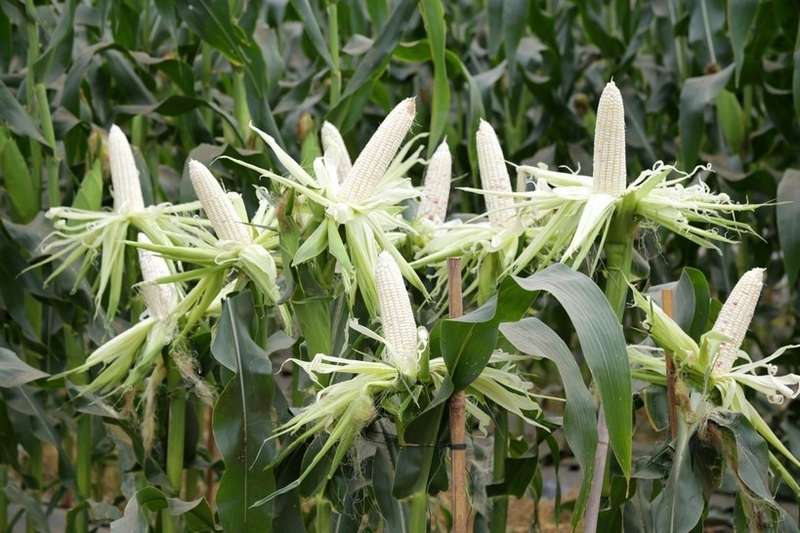 Among them were new and popular lines of hot pepper, tomato, watermelon, melon, pumpkin, bitter gourd, brassica, sweet and waxy corn, marigold and several others planted throughout the 10-acre demonstration farm area. 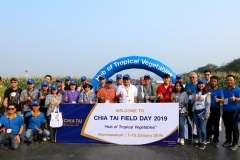 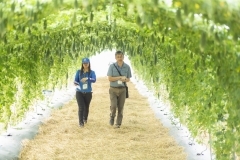 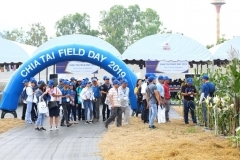 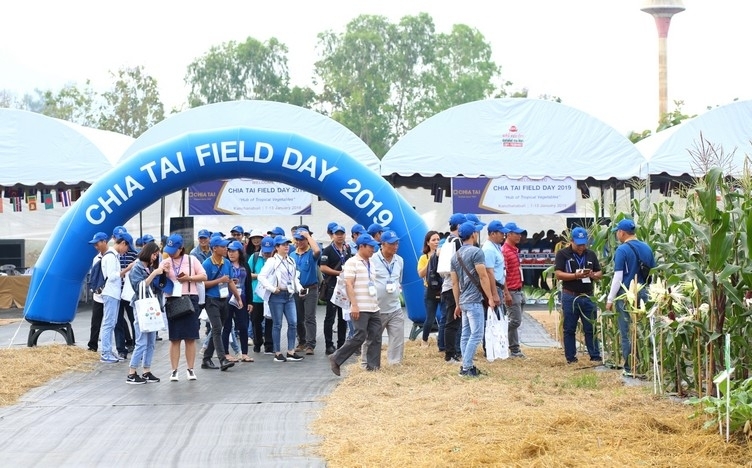 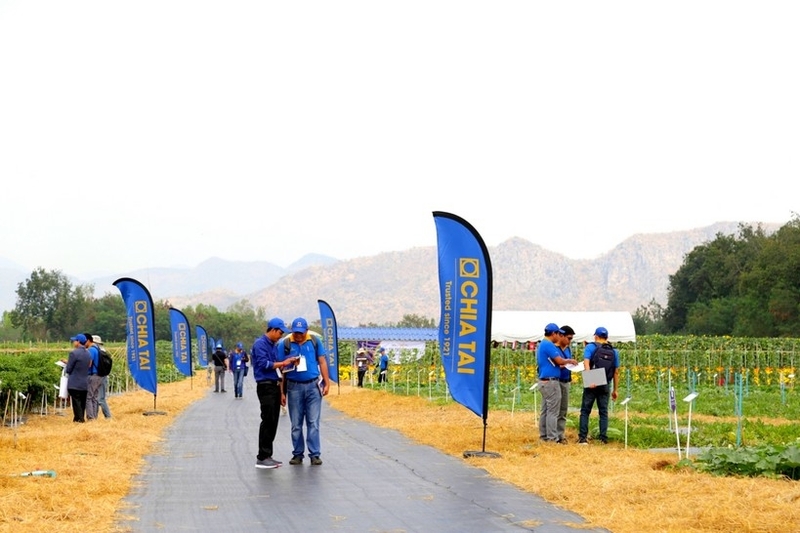 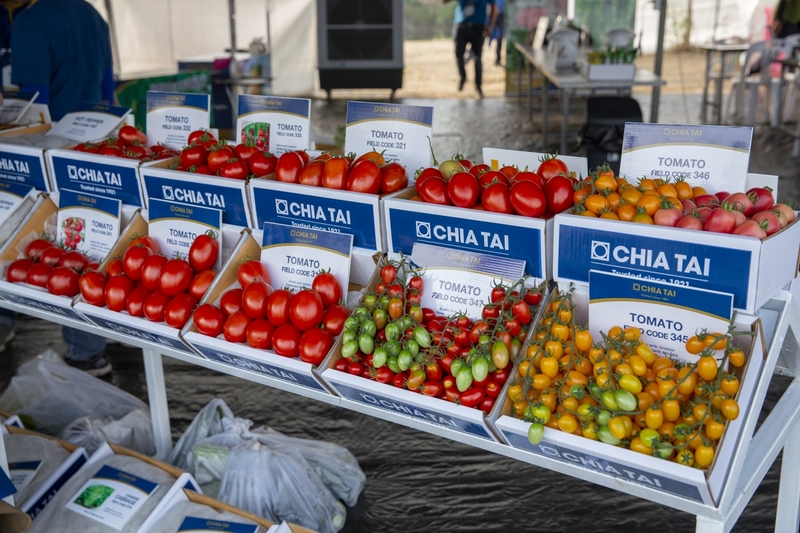 Customers toured the 10-acre demo area, inspecting popular and new F1 varieties of crops, while engaging CHIA TAI’s attentive and knowledgable team of experts on varietal characteristics, market requirements and learning how CHIA TAI continues to meet expectations of the global market. 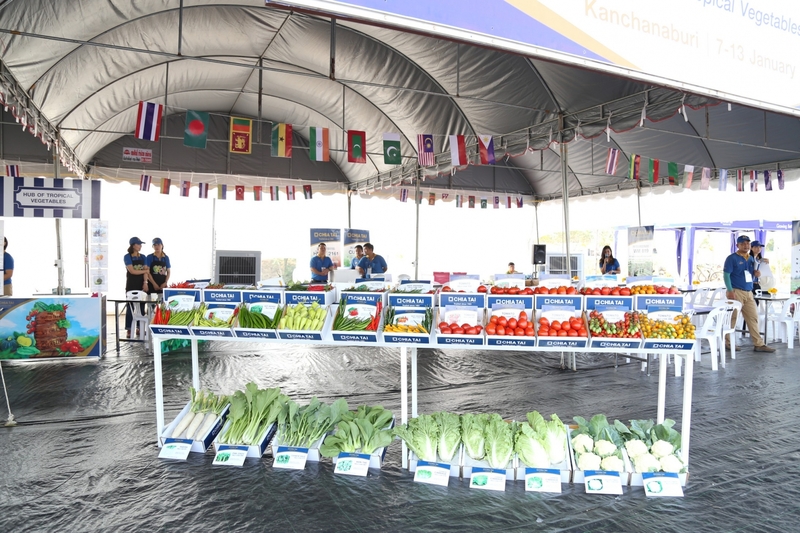 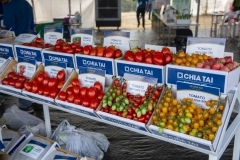 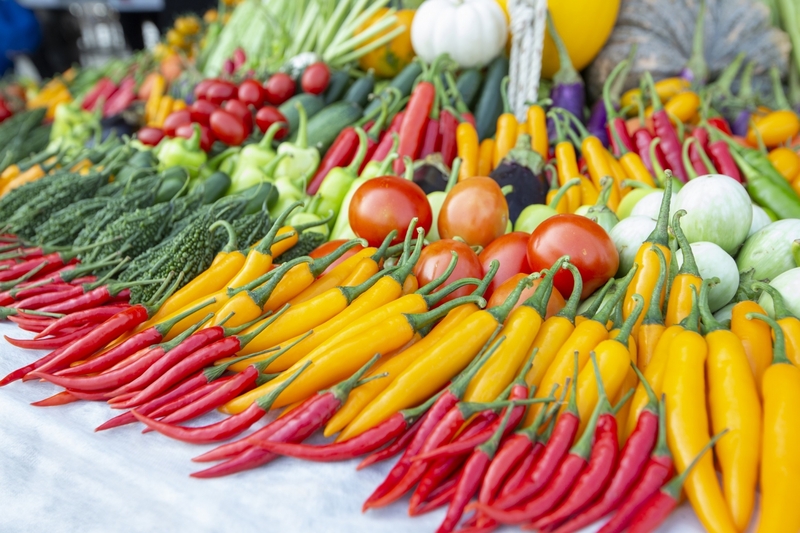 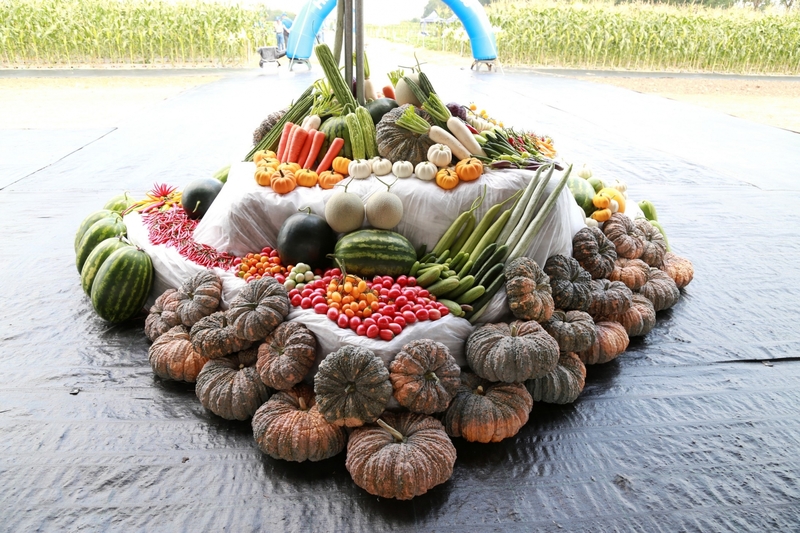 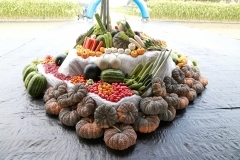 In addition to the field demonstration, there was a fresh produce display with more than 94 special crop varieties showcased. 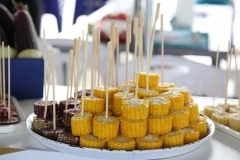 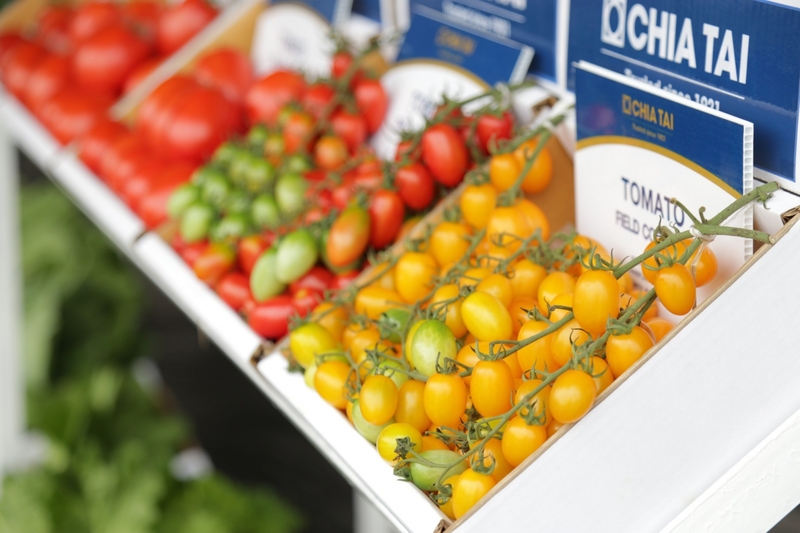 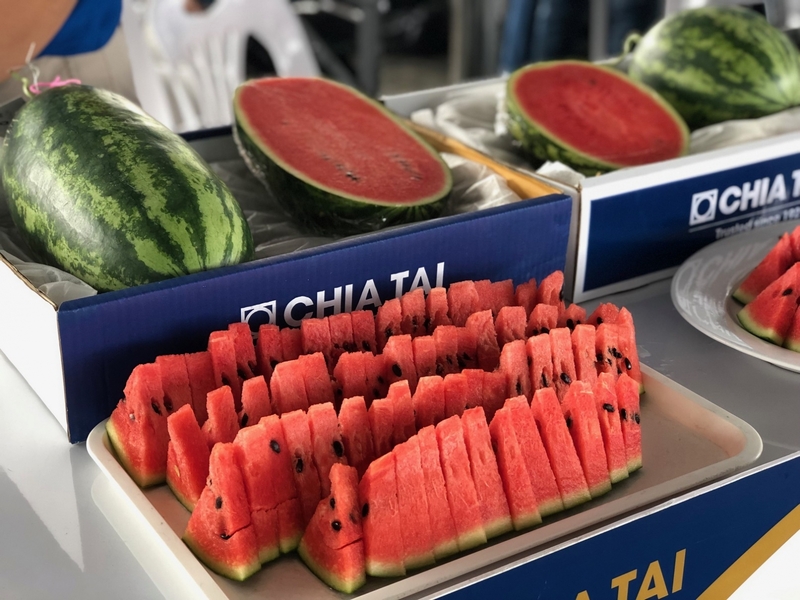 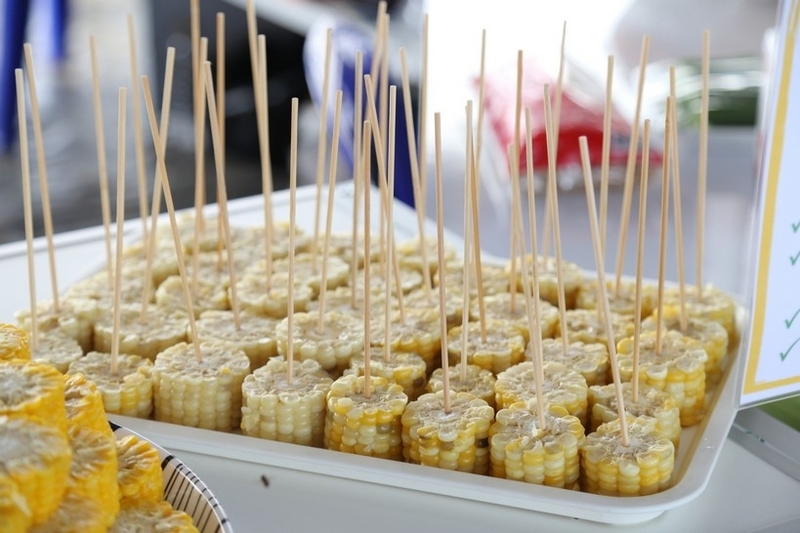 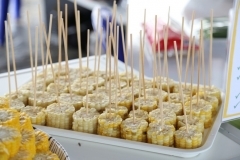 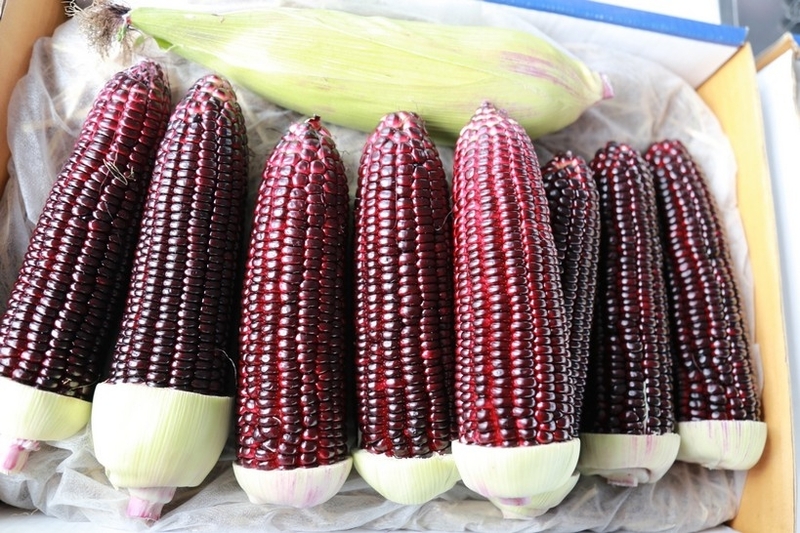 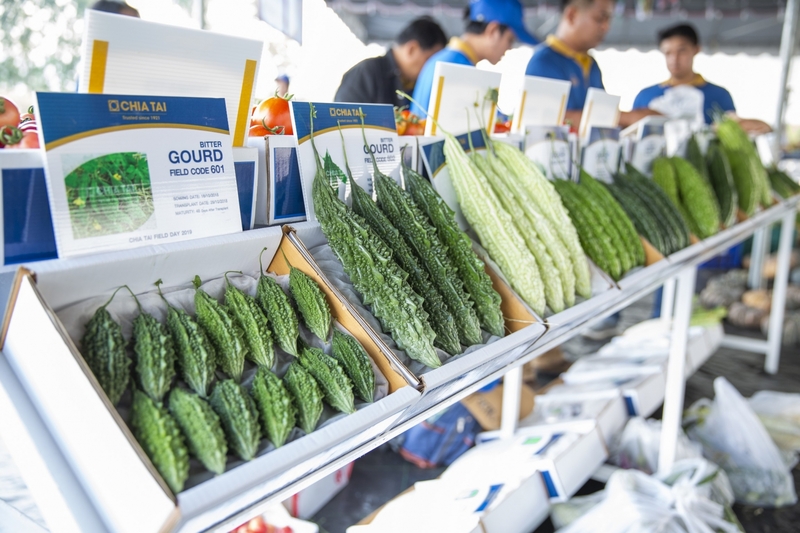 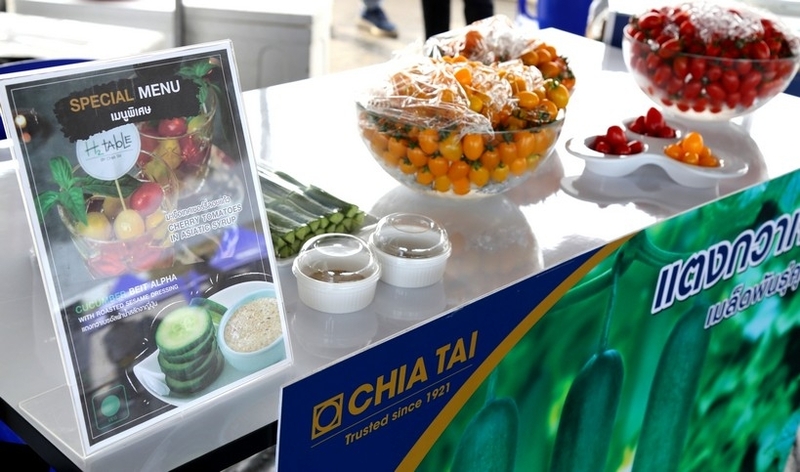 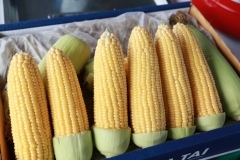 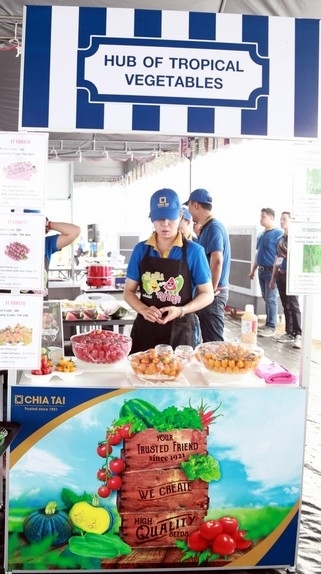 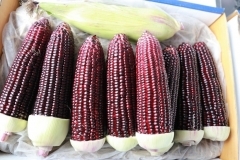 Another highlight of the event was tasting session booths, where visitors indulged in savory fresh samples of CHIA TAI’s famed varieties of melon, watermelon, cherry tomatoes, cucumbers, yellow and purple sweet corn, as well as waxy corn. 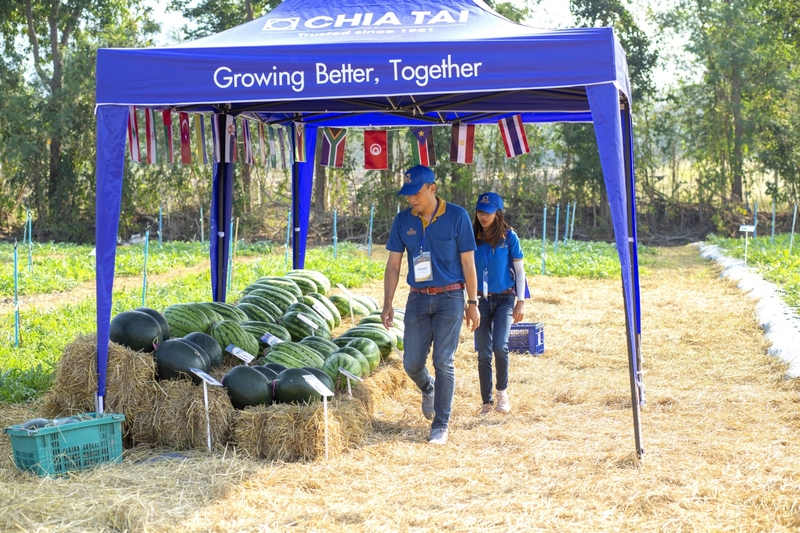 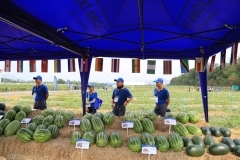 Indeed, the event successfully exhibited the versatility and advancement of a modern Thai agriculture. 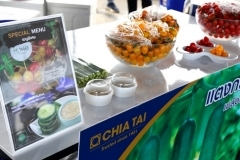 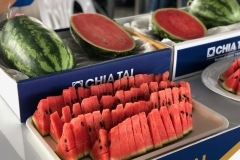 CHIA TAI, as a leading Thai agricultural company, has developed its farms and seed production and processing networks into a hub supplying numerous high performing tropical varieties that meet diverse needs of the global market.